The fire alarm shrieks through the hotel in the middle of the night. Everyone is evacuated safely: except the profoundly deaf couple on the fourth floor, and several older guests who cannot hear sounds at a high frequency. Luckily for them it was a false alarm, this time. People with hearing loss – to whatever extent, be it from birth or acquired through disease, accident or old age – want to feel as safe as anyone else when they stay in a hotel. How can this be achieved? 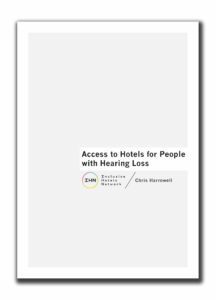 Your first stop for an answer could be a valuable new guidance report, Access to Hotels for People with Hearing Loss, produced by the Inclusive Hotels Network. This easy-to-read guide is packed with practical information. 11 million people in the UK (1 in 6) are Deaf or hearing impaired. 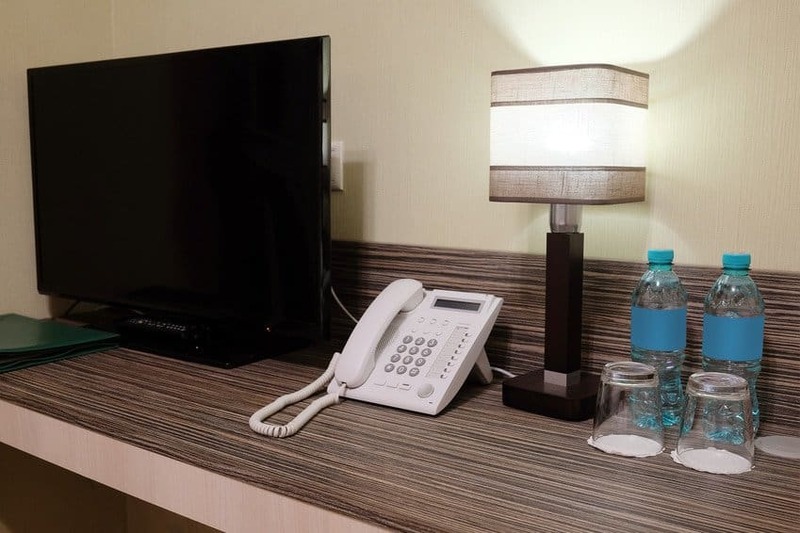 For the fire alarm example, the report has several strategies; from vibrating and flashing door beacons, to ensuring that guests feel empowered and unembarrassed to make their needs clear on check in, so there will be a plan for them to be alerted in case of emergency. A less life-threatening but more frustratingly common problem for people with hearing loss is the lack of captions on hotel TVs. Deaf people want to kick off their shoes, raid the mini bar and sit on the bed to watch the telly as much as anyone else; unfortunately the practice of disabling the captions service by many hotels puts a stop to this. Are your corridors safe if you can’t hear the cleaning trolley coming round the corner? Is reception lit in a way that allows lip reading? Have you got portable buzzers to let guests know their table is ready? Can you adjust the volume of background music in areas of your restaurant? Can guests find information easily without having to look in a ‘special needs’ appendix of your brochure? Are your staff trained to find out how guests prefer to communicate? Lip-reading, writing things down, or using an app, for example? It makes the business case for taking action to give guests with hearing loss a safe and positive experience. 45,000 children aged 0-15 have permanent hearing loss. Many more experience it temporarily. The Inclusive Hotels Network meets regularly to discuss ideas and generate guidance and case studies. A goal is to explore how access to, and use of, accessible bedrooms can be as inclusive as possible to all guests, while understanding client needs and requirements for a room that can be let to all. This is the first of a series of guidance documents about making hotels more inclusive. This report offers solutions to many problems that you probably haven’t thought of. If you want an audit to help make your hotel the place to stay for people with hearing loss, call our friendly, expert team at Proudlock Associates.